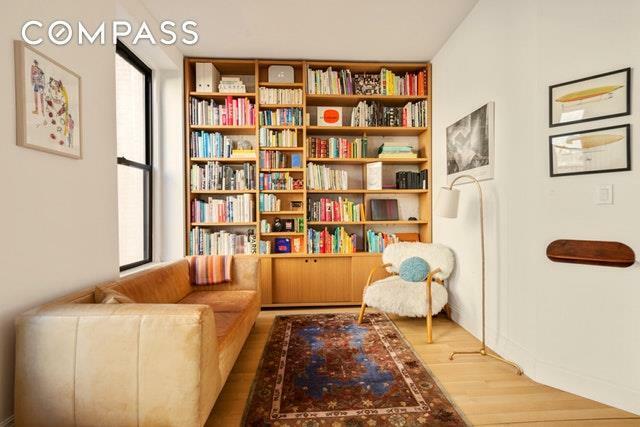 Just what youve been waiting fora pristine 2-bedroom in prime Fort Greene! 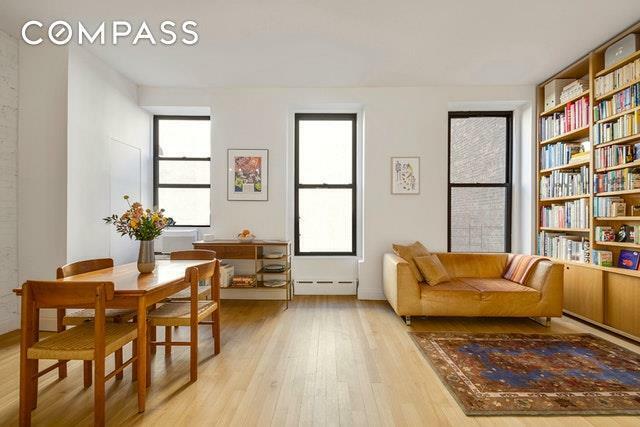 This gorgeous, architect-designed coop unit is just two flights up in a stoop-less brownstone. No detail was overlooked in the extensive renovation. The open living plan is spacious enough for a separate dining area, with three oversized windows letting in plenty of light. The sleek, well-designed kitchen features more-than-ample custom cabinetry, Carrara marble counters and breakfast bar, under cabinet lighting, Gaggenau dishwasher & fridge, and a Jenn-Aire range with a vented hood. Custom built-ins in the living area not only provide attractive storage, but match the white oak flooring throughout the apartment. The generous master bedroom has a wall-length custom-built closet; the second bedroom is also good-sized, with a large, full-height closet of its own. Both bedrooms feature City windows, keeping the city noise out but allowing the sunshine to stream in. The fully-tiled bathroom features an extra-deep soaking tub, in-wall tank toilet, Kohler fixtures, and a solid wood & Carrara marble vanity.With both southern and northern exposures, the apartment gets great light throughout the day. 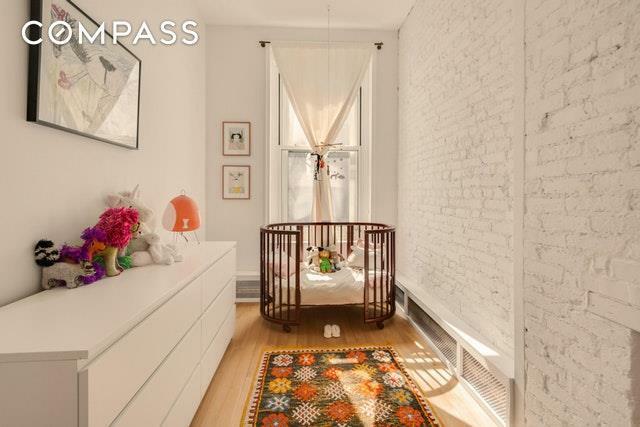 Exposed white brick in every room reminds you that youre in a classic brownstone, with a modern aesthetic.This boutique coop has free laundry and storage in the basement. 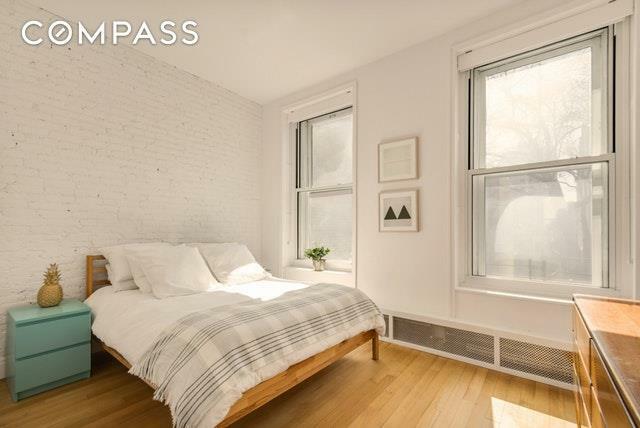 Best of all, this apartment is located in the heart of Fort Greene, with its abundant shops & restaurants, Saturday Farmer's Market, fabulous Fort Greene Park, and access to multiple subway lines and Downtown Brooklyn! Listing courtesy of Anita Culp of Compass.